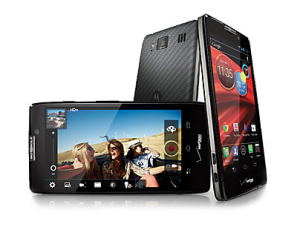 *Disclosure: I have received the Droid Razr Maxx HD & 6 months of service in return for my honest opinions. People have been preserving precious moments in photos since photography was invented. The way we capture photos has changed over the years, but not the reasons for taking them. There is no question that these are all precious memories that we want to preserve. The question is: how are you ensuring that your photos will be preserved to be enjoyed years from now? The Droid Razr Maxx HD, the phone I am testing for Verizon, has an option to backup photos automatically to my Google account. This means that any photo I take is automatically preserved. I need only log in to my account to access them. Not having to do anything extra to ensure my photos are preserved whether I remember or not, priceless! Before receiving the Droid Razr Maxx HD I was using my iPhone 5. It has an option called Photo Stream to automatically backup to my Mac every photo taken. The third option I use to ensure my photos are preserved is to print them and place them in photo albums. Yes. I am an advocate of using all online backup services to ensure all my virtual property is preserved. But sometimes it nice to have that physical photo album to thumb through. What do you use to ensure your photos are preserved? Cheryl — I have an iPhone 5 and didn't know I had Photo Stream. So I just went into settings and see that it is activated. I don't know if I did that or someone at a Genius Bar, but I'm glad it's there! Thanks for the tips. Yeah, I love Photo Stream! I have been considering getting a back up drive specifically for photos and documents. Considering how much I have as far as both are concerned it just pays to be extra cautious. I do like the google photo back up for photos. I can't remember when I turned it on but all the photos I put on or take with my ipad go there automatically. This ends up being quite a few because I send my photos from my camera through my ipad as well when I am doing edits and such. I love the photo stream from apple because you can use it for sharing photos with others. I set it up to share all the baby and birth photos from my grand daughter with all the families. This is so much easier than having to send out multiple photos. All I did was set it up and then send out a link to where to find them. I love to print photos, but it seems like I'm falling further and further behind. It does seem like I'm more apt to look through them once the best ones have been arranged in an album. I do keep a back-up, but am trying to get into the habit of doing so in the cloud as well. All my childhood memories revolve around the ten or so photo albums my mother kept. I wonder what my children will remember with the tens of thousands of photos of their childhood? I still print photos for gifts for others. It's also quite handy to have recent pics of family and pets on your smart phone. So often in a conversation we are talking about those kind of things. I just recently started using the Verizon cloud. So now I have – Carbonite, DropBox and Verizon cloud all HOPEFULLY protecting me from a technology failure! Thanks Cheryl. I still print some photos for gifts as well. Like you with all these backups I should be covered for any technology failure. I've never paid too much attention to backing stuff up until we started our trip and we needed a serious plan. We put our pictures on an external hard drive – which I copy every once in a while on another external hard drive (one of which I already sent back to the US) and then we also back them up online. It would take a lot of unfortunate events to lose them all! Very good Dan! For some of us it takes having a failure happen before we take steps to ensure our stuff is backed up. « What Is the Chance You’ll Get a Red M&M?